Following the Fall of Saigon, nearly 2 million people fled Vietnam, creating one of the first modern refugee crises. Dr. Việt Thanh Nguyễn, author of “The Sympathizer,” himself an oceanic refugee (aka the “boat people”), will talk about the Vietnamese American experience, the Vietnamese diaspora and the effects the war has on these refugees as well as the American public. 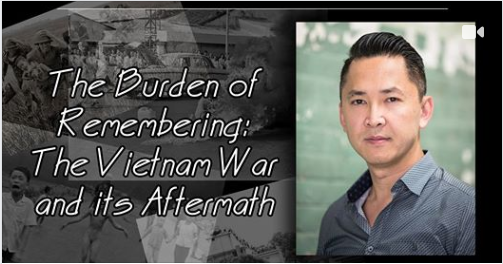 Dr. Nguyễn is the Aerol Arnold Chair of English and Professor of English and American Studies and Ethnicity at the University of Southern California. His first novel, “The Sympathizer” won the 2016 Pulitzer Prize for Fiction among other accolades. 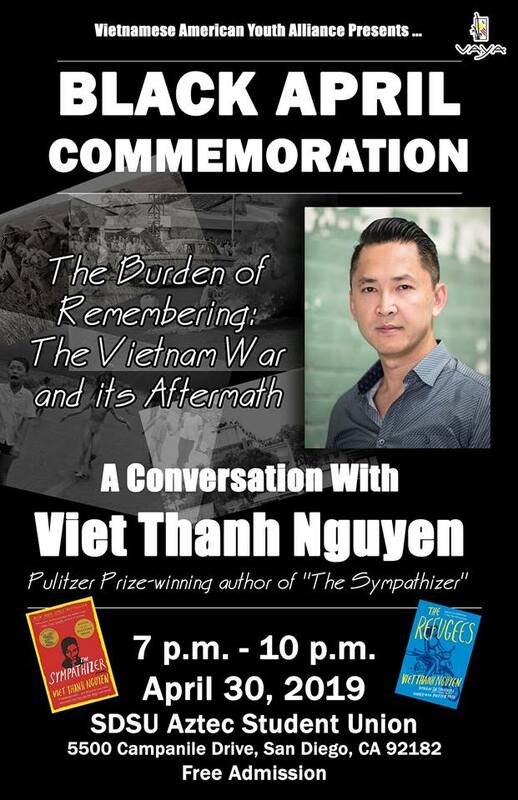 Join the Vietnamese American Youth Alliance as we host an evening of conversation with Việt Thanh Nguyễn from 7 p.m. to 10 p.m. at Conrad Prebys Aztec Student Union auditorium Tuesday, April 30, 2019. This event is free for the public. There is a suggested donation of $20.